The 5 Best Skate Shops in Rhode Island! Looking to grab a new deck, some wheels, or maybe new trucks? These Rhode Island skate shops have you covered. 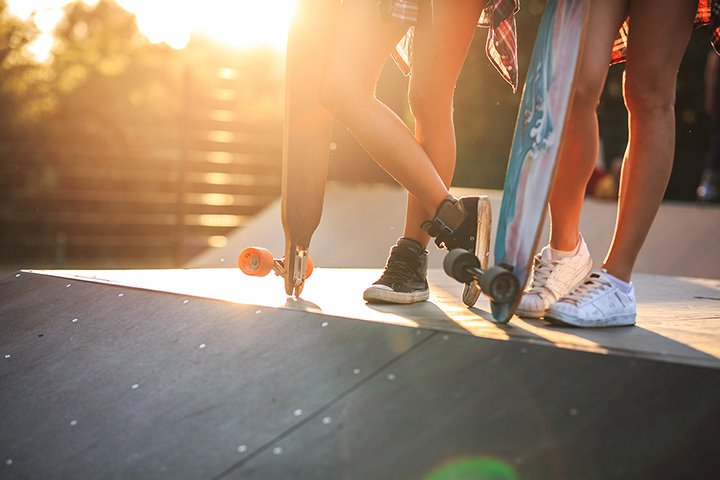 Whether or not you’re new to the Rhode Island skating community, you’ll love the friendly service and helpful advice these stores can offer. With such great prices and a selection of only the best boards, this is the place to go if you’re in the area. This store’s employees make sure to take care of you from beginning to end, offering up the kind of support that both novices and well-versed skaters can appreciate! Civil offers good vibes and great clothing every day! From street wear, to skate shoes, to miscellaneous gear, you’ll be sure to find it here! For those not in Providence, be sure to visit their other locations in East Greenwich and Westerly. The friendly workers at this surf and skate shop will put you at ease when purchasing any skating gear. Order items from their signature collection online, in their store, or at one of their sporadic pop-up locations. Or catch them at their surf fest run out of historic Fort Adams Park in Newport! This family-run store is always ahead of the latest surf and skating trends. Walk in and immediately speak with any employee, who will help you to figure out the best option or understand exactly what you’re looking for. Grab some coffee at the coffee bar, too—Drift serves up Dave’s iced coffee right on tap! Elemental stocks all of your favorite brands—like Antihero, Plan B, Raw, and Mood NYC, all out of its Middletown flagship location. The store is consistently stocked with the latest decks, wheels, trucks, and extra accessories.